Drive through tacos? Yes, and this is no Taco Bell! 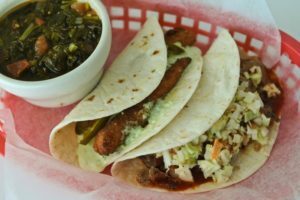 El Taco Veloz has several locations around town (including Sandy Springs and Buford Highway) and is serving up some of the best tacos in town. We love to stick with the barbacoa and the lengua. You’ll get two corn tortillas stuffed with slow roasted meat, white onions and cilantro. 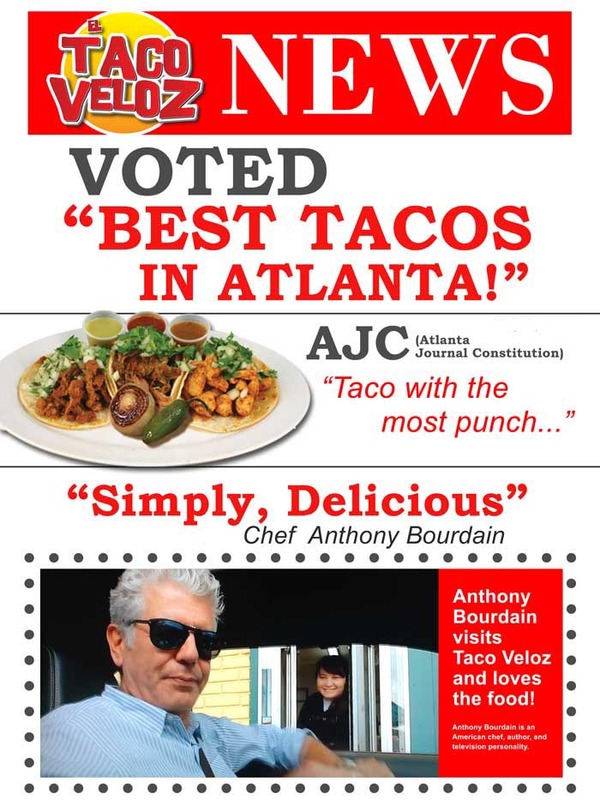 It’s obvious that Atlanta loves its tacos by the large number of votes received in this week’s Best of Atlanta poll. The taco with the most punch is served up at El Taco Veloz with multiple locations around the city, including Gwinnett county. If you’re feeling adventurous, opt for the Lengua (beef tongue) taco, or if you are a traditional lover then order the Carne Asada (charbroiled steak) taco with a hearty side of queso dip. A couple of years ago, Anthony Bourdain—the self-styled “badass” of foodie TV—came to Atlanta to tour the city’s hotspots. Like him, I can’t resist cheap, spicy, and kinda seedy. So, among the 20 places he mentioned the standout for me was El Taco Veloz. The original location of this taqueria (5084 Buford Hwy., 770-936-9094) has quite limited seating, so I suggest you visit one of the roomier five others that have opened over the last 10 or 15 years. The most convenient to in-towners is the one in Chamblee (3245 Chamblee-Dunwoody Road, 770-458-7779, www.tacoveloz.com).